Adrienne Keel, Director of LGBTQ Programs at our LGBTQ Youth Space, and Harriet Pecot, Caminar’s Director of Development, stand alongside bags of gifts for the Youth Space from the Palo Alto Rotary Club. 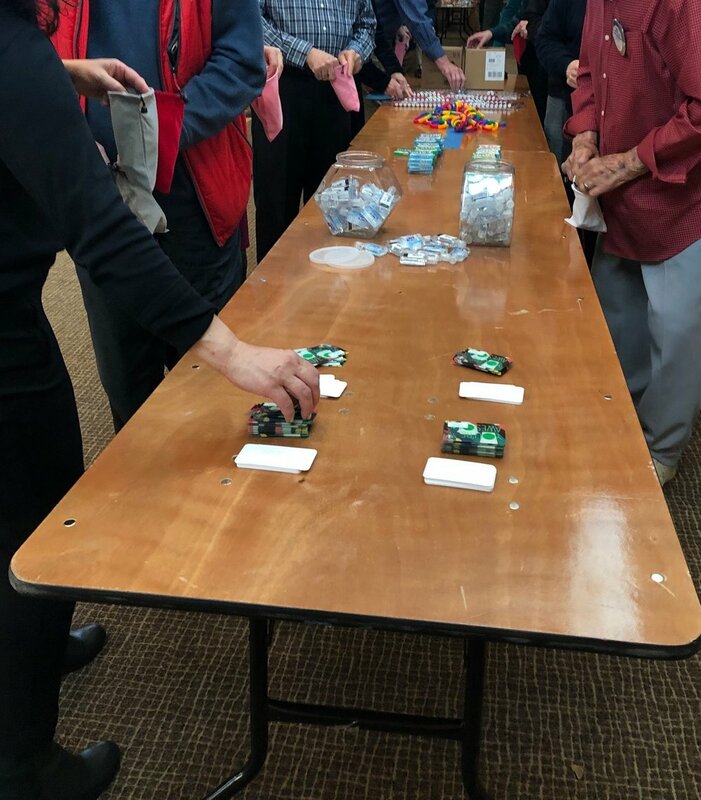 We are so grateful to the Palo Alto Rotary Club who met on Martin Luther King Jr. Day and put together bags filled with lots of goodies for our LGBTQ Youth Space. The bags included lip balm, hand sanitizer, gum, stress squeeze balls, LGBTQ bracelets, Starbucks gift cards, and a note from the club. 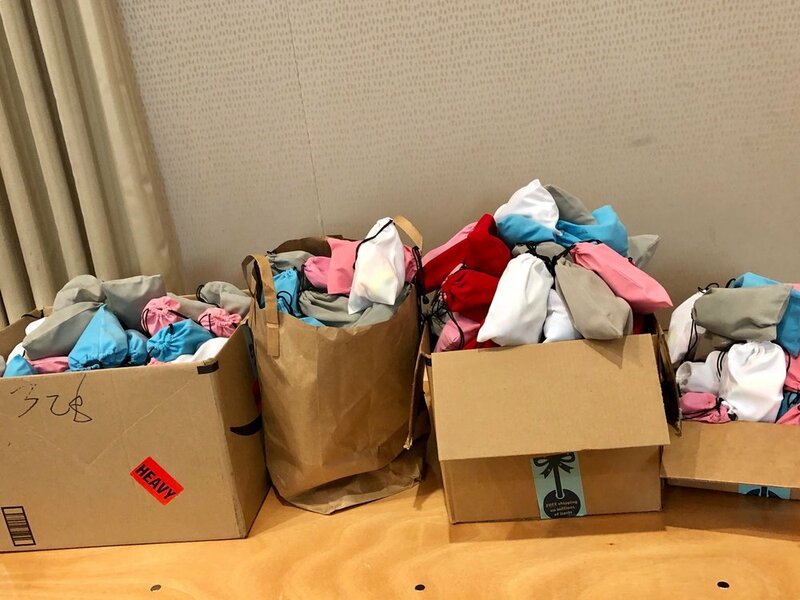 Our Youth Space participants, who are lesbian, gay, bisexual, transgender, queer, questioning and ally youth and young adults ages 13-25 who live in Santa Clara County, greatly appreciated the thoughtful and generous gifts. Adrienne Keel, Director of LGBTQ Programs at our LGBTQ Youth Space, and Harriet Pecot, Caminar’s Director of Development, were delighted to be present that day and share with the club members the work of the Youth Space and Caminar. Sincere gratitude to the Palo Alto Rotary Club for including our programs in your service projects and for all you do for our community!